The Rajasthan tours are the most tourist visited state, since most of the districts of Rajasthan are "a place of attraction". 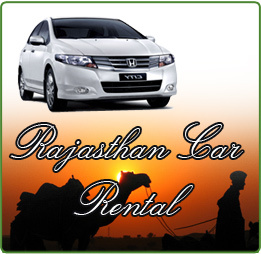 Several unique Forts, Palaces, temples, monuments can be visited with the Rajasthan tour packages. Also the tour package includes the visit to the deserts and the sand dunes in the outskirts of the state. Ultimate and luxurious hotel facilities are available during the travel. From budget hotels to the more efficient five / three star hotels can be chosen for your accommodation. This includes the food during the days of stay. Season discount will be applicable on selected hotels that are mainly related to the tour operator. The Tirupati holidays are the best tour and travel operator that effectively ensures all its customers a well planned and executed travel trip. From the travel arrangements, sightseeing, hotel accommodation with food, drop in the airport / rail station will be taken care. All these make them the most trusted tour and travel operator. With the best drivers during the journey and multi lingual travel guides during the sightseeing locations makes the Tirupati Holidays stand out as a unique and exceptional tour operator. Several hotels including Budget / three star/ five star hotels are connected with Tirupati Holidays and it makes easy for the travelers for their stay. Separate air conditioned vehicle will be available for the pickup from your arrival juncture to the hotel of stay. The travel ticket booking via train / flight / bus will also be done by the Tirupati Holidays for the tour extension or for the return journey. A medical team will accommodate you in case of any emergency. This web site (the Site), tirupatiholidays.net is published and maintained by Atulya Rajasthan a company incorporated and existing in accordance with the laws of the Republic of India. Please read the following Terms and Conditions closely before using our Web site (the “Site”) & Services. By accessing, browsing and using this Site and using services, you acknowledge that you have read, understood and agree to comply with the terms and conditions stated here. To the extent you book any travel products or services on this Site, you agree that these Terms and Conditions shall apply to all such transactions. If you do not agree with any part of these Terms and Conditions, YOU MUST NOT USE THIS SITE & SERVICES. Tirupati Holidays may at any time modify these Terms and Conditions, and your continued use of this Site will be conditioned upon the terms and conditions in force at the time of your use. This is only for your personal use. You shall not distribute, exchange, modify, sell or transmit anything you copy from the site, including but not limited to the text, audio, video and images for any commercial or business purpose. As long as you comply with the the Terms and Conditions of Use, Tirupati Holidays grants you a non-exclusive, non-transferable, limited right to enter, view and use this Site. You agree not to interrupt or attempt to interrupt the operation of this Site in any way. A booking can be done a maximum of 12 months before the trip commencement date. Similarly, a booking can be done a minimum of 1 day before the trip commencement time (subject to availability of resources for which booking is required). Booking can be done either through our website at Tirupati Holidays or by calling our Operation Team nos. An initial deposit needs to be paid by the customer for his booking. The deposit amount is calculated based on the services hired by customer. Services like flight tickets, train tickets will require 100% advance payment and hotel booking may need 50% to 100% payment depend on policy of hotel booked. Advance payment can be made via our online Credit Card payment gateway, Bank/Wire Transfer or PayPal, and respective Transaction will be charged extra over booking booking amount. Before completion of the trip, the full and final payment has to be done, Tirupati Holidays reserves the right to ask you to pay remaining amount (total quoted price less advance payment made) at any time during the trip depend on your preferred payment method, or final payment will be required to be made in Cash to driver just before departure. Booking modifications includes change in arrival or departure date, and in case of any modifications we will try our best to ammend modifications in same booking else existing booking will be cancelled and a new booking will be created, and for cancellation cancellation policy will be applied. All correspondence for travel arrangements should be addressed to M/s. tirupatiholidays at the given address. For the services contracted, some advance payment should be made to hold the booking on confirmed basis & the balance amount can be paid either before your arrival or upon arrival in INDIA - but definitely before the commencement of the services. tirupatiholidays hold the right to decide on the amount to be paid as advance payment, based on the nature of service & the time left for the commencement of the service. Besides above, in certain cases like Air Train Journeys, hotels or resorts bookings during the peak season (Christmas/ New Year) or during fairs/festivals, full payment may be required in order to hold space on CONFIRMED BASIS. Please note that such payments are NON REFUNDABLE. Advance payment can be made through Wire Transfer to our bank or through Mail Authorization through credit cards We accept Master and Visa Credit cards. Upon arrival in INDIA, the payment can be made in cash, traveler cheques or by credit cards. In case of payment through credit card, a small amount of bank processing would be applicable on the amount being paid by credit cards. © 2006-2013, Tirupatiholidays.net :All rights reserved.